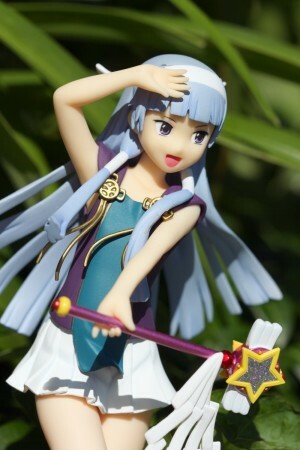 After watching the Kannagi anime and thoroughly enjoying it, I found myself looking for more of the lovely Nagi-sama. 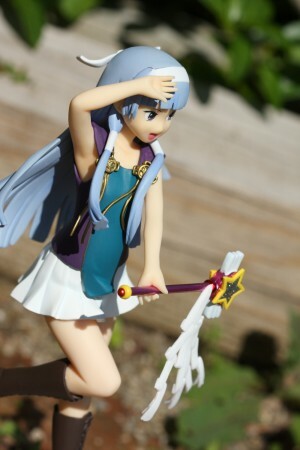 I discovered that there were already a few Nagi figures out and about. 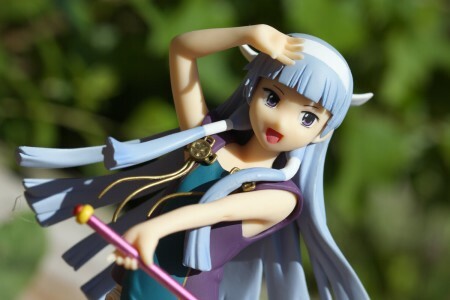 Wave, Kotobukiya, and FREEing all had their own Nagi figures available and an additional Clayz version is out later this month. 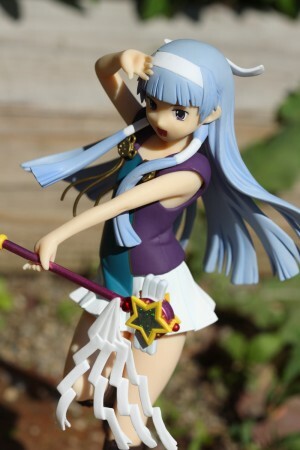 Sadly, these Nagi figures all seemed to have something slightly off with them but I thought the FREEing version was the most appealing and I decided to place an order for her. 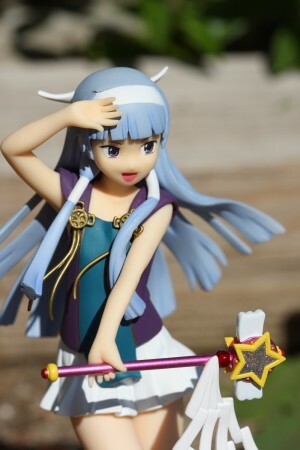 Although many fans have been disappointed with the Nagi-sama figures that are available thus far, I think this version by FREEing is one of the better ones. 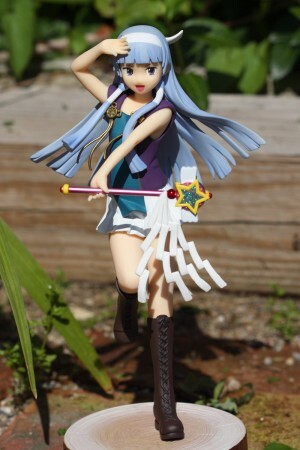 Her pose feels energetic and her outfit is well done. I think the face is the main problem people have with this figure. Unfortunately, it’s not perfect. From some angles, she looks very good but from others she seems a bit awkward. I think the above photo shows how she can look good given the right viewpoint. 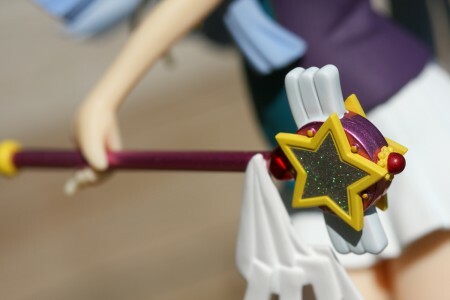 Nagi-same comes with her mahou shoujo wand to ward off any impurities for me. 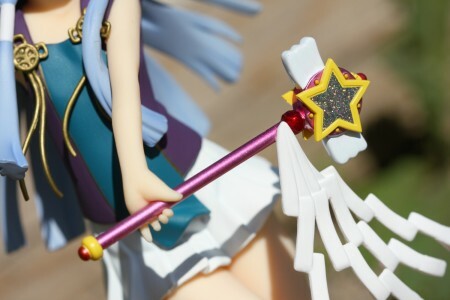 Quite helpful ^^ The wand is nicely detailed with glittery reflective material. 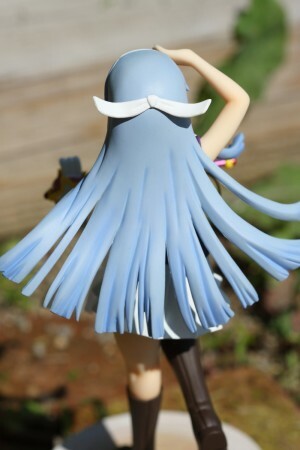 Her skirt is removable. 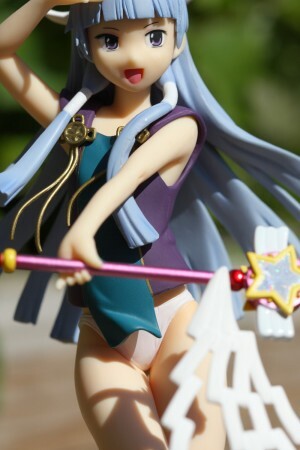 Gives easy access to pantsu >_< I personally prefer my Nagis fully clothed, with their skirts on, but to each their own. 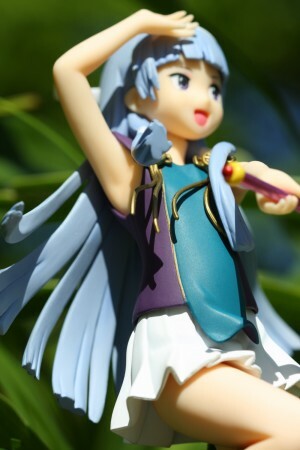 This was actually the first figure shoot I did with my Canon 100mm Macro (outdoors). I’ve just been putting off this post for too long >_< The 100mm macro is simply amazing for outdoors figure photography. Allows me to get very sharp close-range shots like the one above. 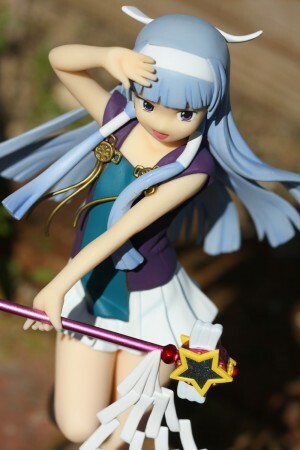 Has anyone read the Kannagi manga? Is it good? Better or worse than the anime? 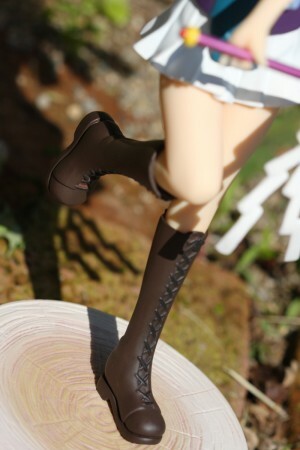 Oh… you know Hiromi used to tease Ran by removing the skirts of his to heart 2 figures and hiding them all the time! .-= Persocom´s last blog ..Louise Gothic Punk Ver. 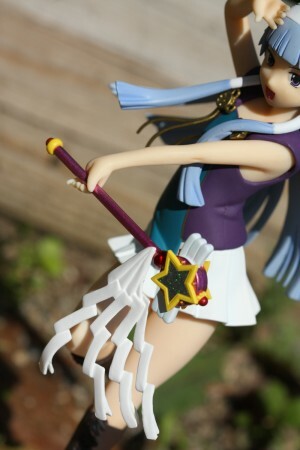 1/8 PVC by Alter =-. 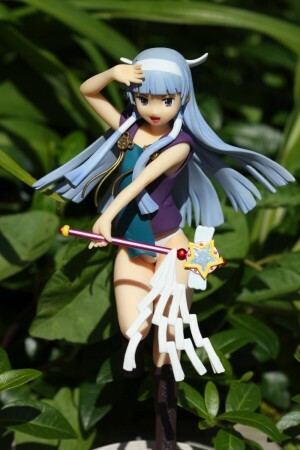 love nagi but am still missing a figure of her orz looks like this one would be a good candidate. i’m currently on volume… 2 of nagi? can’t quite remember been so long since i last read some ^^;; i was enjoying it as much as the anime at the time but since i didn’t get very far i’m not sure how much the plot ends up differing (or not). .-= meronpan´s last blog ..One Year and 100k! (almost ^^;) =-.